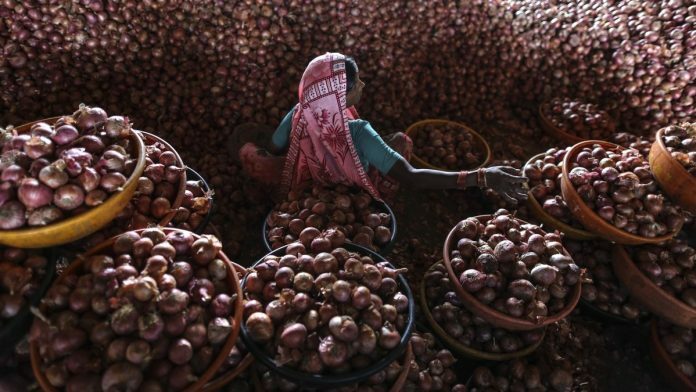 Low onion prices, despite rising input costs, are emerging as a symbol of India’s wider rural discontent. 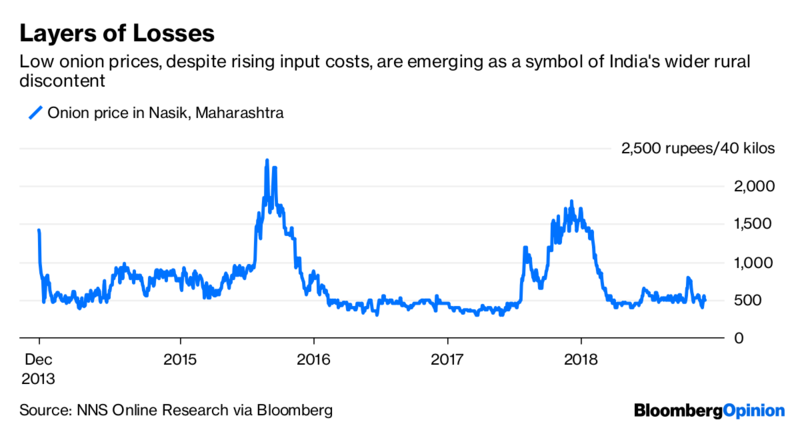 Onion prices have a long and layered relationship with Indian politics, having played a role in shaping election results since 1980. Usually governments squirm (and opposition parties rejoice) when the price of the staple is too high for consumers; this time around — with a few state poll results due Tuesday and general elections around the corner — the problem is the opposite: Prices received by onion farmers are distressingly low. A grower in Maharashtra recently made news when he sent all the money he received for his produce – a paltry 1,064 rupees for 750 kilos (equivalent to less than a cent per pound) – to the prime minister’s charitable fund as a mark of protest. A growing disenchantment with the faltering profitability of farming has emerged as a political variable. But how much of a risk does it pose to the government? One state election where that question may get answered is Madhya Pradesh. This central Indian state, ruled by Prime Minister Narendra Modi’s Bharatiya Janata Party, has a high dependence on agriculture. 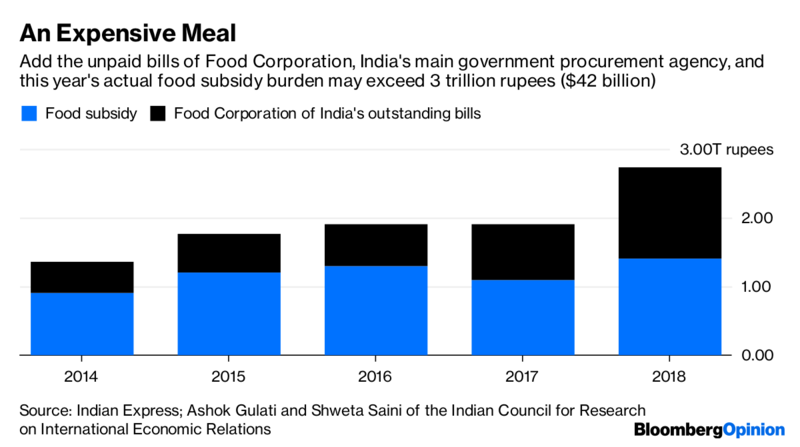 This goes beyond rice and wheat, the two cereals that have been the focus of India’s food self-sufficiency drive, to include soybean, mustard, cotton, lentils and, of course, onion. The core of New Delhi’s rural support program is so-called minimum support prices, or MSPs – but these aren’t paid on every crop or to every farmer. New Delhi, on average, buys 26 per cent of the country’s annual wheat cultivation and 28 per cent of its paddy output for its own granaries, but the figure for mustard is 4 per cent and in onion, there are no federal government purchases. State administrations have instead attempted to compensate growers on their own when onion prices collapse and farmer suicides becomes politically embarrassing; but their resources are too limited to make a dent. Similarly, a government-appointed committee found out that in only 6 per cent of India’s farmers have gained from selling wheat and paddy directly to a state procurement agency, meaning the vast majority aren’t even involved in the MSP system. State procurement of wheat is heavily concentrated in Punjab and Haryana; those two northern states, as well as the southeastern Andhra Pradesh, account for the bulk of government-sponsored rice purchases. For most farmers and most produce, the MSP — and its lofty goal of giving farmers a 50 percent margin on their cost of production — is an empty slogan. Even the Indian central bank got it wrong when it read a significant bump in MSP announced for 14 crops in July as a harbinger of higher inflation post their autumn harvest. The program doesn’t cover enough of the market to have such a dramatic effect. With market prices below state-procurement prices by as much as half in some instances, the bigger risk now is of disappointing rural demand. There has to be a better way to make the economies work. The state can’t be a purchaser of an ever-expanding set of commodities it can’t stock or sell, and politicians can’t forever be seeking rural votes by promising fiscally expensive debt waivers. Opposition leader Rahul Gandhi has promised to waive loans of farmers in arid northwestern Rajasthan — a state exit polls suggest his Congress Party may wrest from Modi’s BJP in Tuesday’s count — within 10 days of forming government. He has made similar promises to voters in Madhya Pradesh, and its neighboring state of Chhattisgarh. In commodities like cotton, soybean and onions, which display high price volatility, the solution lies in boosting the cultivators’ storage capacity so they can avoid distressed sales. Financing against warehouse receipts is picking up, but it’s either not available or too expensive for crops whose prices swing wildly. From overuse of groundwater in cereal production and stop-and-go export policies that depress India’s shares of world markets, there is much in need of fixing. None of it can be accomplished by any government over its five-year term. So all that’s going to be debated as election results trickle in will be if the current spate of rural discontent, on display late last month as farmers marched to the national capital, is politically manageable for Modi. India’s stocks and bonds fell on Monday, and the rupee slid against the dollar, amid rising political uncertainty.